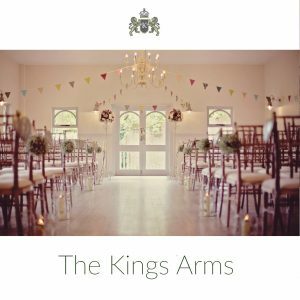 The King’s Arms is a multi-award winning, boutique wedding venue seated on the picturesque banks of the Avon river. 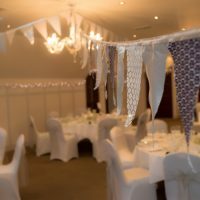 Most recently they received 2016 Wedding Venue of the Year Award, from Dorset Wedding Suppliers. 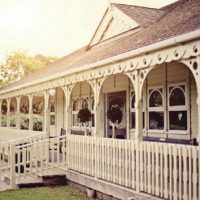 This unique hotel is blessed with quintessentially English views of the peaceful Kings Arm Bowling Green and the romantic 12th Century Christchurch castle. With three licensed, picturesque venues to choose from and customisable packages, you can create your perfect celebration. Beautifully refurbished, the Kings Priory is a light and airy chandelier lit space for up to 90 guests. Looking out over the heritage grounds, guests are treated to a delightful vista of the charming bowling green, fairy-tale castle ruins and gently meandering Avon riverbank. 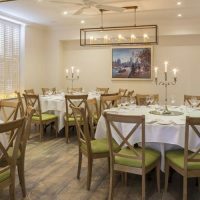 Ideal for smaller celebrations, the Georgian Lounge offers an intimate feel, with its bright and contemporary décor. Most recently restored in New England Style, the Kings Pavilion offers an elegant and naturally lit space for up to 80 guests. Tastefully panelled walls and sparkling chandeliers, set a neutral background for your choice of decoration. The restaurant at The Kings Arms is led by local chef Alex Aitken. Using the finest fresh and locally sourced ingredients, they will create a bespoke menu that will tantalise your taste buds. The bedrooms at the Kings Arms have been thoughtfully restored in refined Georgian Style. Choose from the King, Queen and Loft rooms all of which benefit from a number of features including, White Company toiletries and complimentary use of the Harbour Spa at Christchurch Harbour Hotel. To discuss your needs please call 01202 588933 or use the online enquiry form.